Armed Forces Veterans & Families Drop-ln opens at 10:00 am. 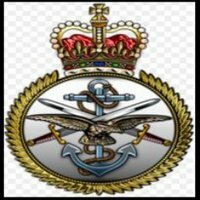 Support group for Veterans & Families from the British Armed Forces. Monthly guest speakers, Veterans' led Well-Being group, supported by a qualified practitioner. Tea, coffee, biscuits and daily newspapers available. The opportunity to speak with representatives from guest organisations, charities and other support groups, on a one-to-one basis; private & confidential settings available. 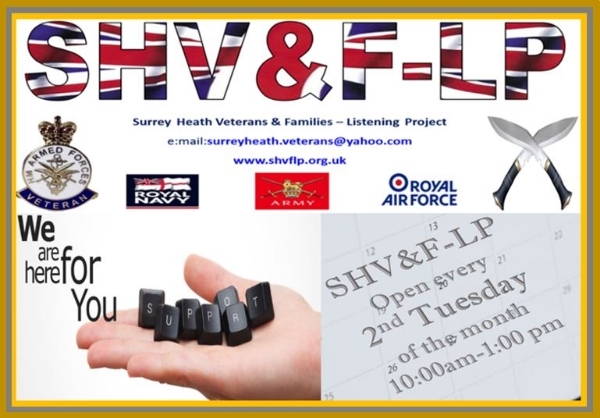 SHV&F-LP meet every second Tuesday of the month, 10:00am - 1:00pm.